In every church Russell Watts has pastored, God has given a different strategy for evangelism. 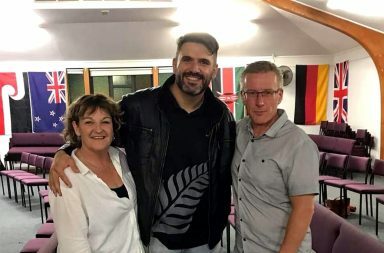 However, in his current position as Senior Pastor at Whangarei Central Baptist Church, he believes the child/youth-focused vision they are pursuing has application in all churches. 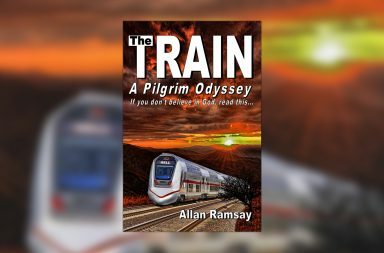 Here he tells us a bit about their strategy to raise world‑changing Christians. If I were to ask you what people group in the world is most open to the gospel, what would you say? Maybe the poor, or Africans, or those in crisis? The answer is in fact ‘children’, more specifically young people between the ages of four and 14. Around a third of the people I have led into a life-long relationship with Jesus have been in this age group. Some statistics suggest that up to 85% of those coming to Christ today in the world are aged within that range. In the West, psychologists have convinced us that people cannot make life-long decisions until they are around 25 years of age. God has a different view. Of the people I have led to Christ at a young age, very few have drifted away from the Lord or the church. However, a greater number of 30- and 40-somethings have gone back to their previous ways of living. I vividly recall reading some research work Nigel Cottle did for the Baptist Union about a decade ago, reflecting shocking statistics around young people exiting the church at about 18 years of age.1 Today I suggest things are worse, with around 75% of our church youth leaving at this age and up to a third of those returning to church after they have made major life decisions once they start a family. We say we are running good youth and children’s programmes and yet Karen Warner (National Team Leader, Baptist Children & Family Ministries) recounted the real statistics in her article before the Hui last year.2 In the last 10 years we have 13% fewer adults in church, 22% fewer teens and 26% fewer children. Please don’t tell me that our Baptist movement is healthy or that we are doing well. It’s not true. The most important thing to our Father in heaven is that lost people come into a saving relationship with Jesus. Our population is growing in New Zealand but the church is in steady decline. Our ministries, including our youth ministries, are not healthy. Our community ministries on a whole are not producing salvations. We are missing the ‘main thing’ the church is called to do—evangelism. Meanwhile we are overlooking these little ones as maybe too young to be Christians or a part of the body of Christ. But God does not see things that way. Ten years ago, when our excellent Children & Family Ministries were resourcing parents through concepts like ‘Think Orange’, I felt that we were partly on track. We had maybe half of the picture for the future that we needed. What we have failed to focus on, and now God is inviting us to see, is that children are the most fertile mission field in every country now. Evangelism focused towards children bears lasting fruit and children are often the best evangelists in our churches, unless you tell them that evangelism scares us adults. I am convinced that if we focus on church kids, we’ll lose around 75%. But if we focus our evangelistic efforts on reaching pre-Christian children we will reach thousands for Christ who are currently lost. In the process we will retain most of the already found. For years I have led adults to the Lord and have had to spend long periods of time helping them get healed of past trauma and mistakes. We have deconstructed unhealthy concepts of God and reconstructed them around the Word. We have spent time healing relationships and sorting out the consequences of big life mistakes. How much better would it be to focus on reaching people while they are young, helping them to hear his voice and to fully trust his Word so they can grow up confident in a biblical world view? Before arriving in a new pastorate in Whangarei last year, God had already been redirecting my heart and what he wanted to do in the church here in relation to children. Though the church I came to was mostly senior in age, the Holy Spirit clearly directed me and the team to focus on two things: raising world-changing Christians and blessing northern churches. As a church we will welcome anyone and reach out to anyone, but we are becoming very deliberate in making evangelism to our four- to 14-year-olds the priority. We are changing every aspect about our building, signage, services, social activities, etc. to fit around that vision. We are forming a faith development strategy where we will pick up children, both churched and unchurched, at the age of four, and invest into them deliberately and track/mentor them intentionally until they are 25 years of age. 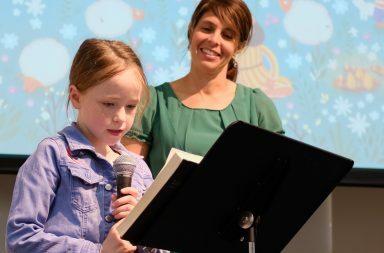 We want to see children involved in virtually every area of ministry in the church, including all-age worship teams, door greeters, pray-ers, evangelists and leaders. We aim to take multiple risks of faith so they get every opportunity to really know the Lord and his power and calling on each of their lives. We want to give them opportunities in community ministries, overseas mission and leadership development. We aim to surround every church or unchurched young person with at least five meaningful relationships outside of their own family. We want their parents, churched and unchurched, to find us as their best supporters. Karen Warner has given me many books, links and resources that have helped us shape our future ministry at Central Baptist in Whangarei. One of the best has been George Barna’s book Transforming Children into Spiritual Champions.3 Here are four quotes from this book. … by the age of 13, your spiritual identity is largely set in place (34). … many churches do not adequately or appropriately support ministry to children because kids are seen as the “bait” that enables the church to land the real treasure—i.e., adults—rather than as a valuable, if unrefined, treasure in themselves (41). The research reinforces one simple but profound truth over and over again: If you want to have a lasting influence upon the world, you must invest in people’s lives; and if you want to maximize that investment, then you must invest in those people while they are young (42). Having devoted more than two decades of my life and all of my professional skills to studying and working with ministries of all types, I am now convinced that the greatest hope for the local church lies in raising godly children (49). I have been in pastoral ministry for a long time. I have had the profound pleasure of seeing so many people come into the kingdom. Right now I believe God is opening our eyes to see the obvious, and inviting us to change our patterns of church and evangelism that are largely failing. Right now there is a harvest field of souls in your neighbourhood and mine. They won’t tithe for some time, they have lots of energy and make life messy, but if you and I reach out to them and invest in them, the church of the future will be growing and dynamic. Unleash the gospel to the young then unleash them in the church and you will see—how awesome our God is! Russell has held various roles as a Baptist pastor for around 27 years in different parts of the country. He has a real love for the Lord and for people, and he expects God to grow (numerically) any healthy local church. Nigel Cottle, Young Adults in New Zealand Baptist Churches Research Report, 2009. Karen Warner, “Children, church & mission,” Baptist (October/November 2017): 20-22. George Barna, Transforming Children Into Spiritual Champions (Ventura, CA: Regal, 2003).